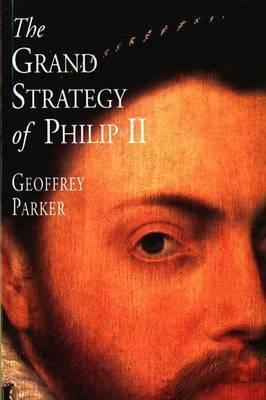 Geoffrey Parker is the best biographer on Philip II. I have read several of his other book that deal with this maligned and often misunderstood king. What makes his books better than others is that he doesn't step into the extremes and paints the complete opposite of what his political enemies did of him at the time; he is no devil but he is neither a saint. And he makes that clear by explaining his failures and achievements. Most notably he spends the first chapters speaking of his upbringing and how this shaped him for the coming years when he would spent hours, sometimes days without sleep and a fixed schedule where he would eat his meals in his study, overseeing letters, making sure nothing passed him by. He was one of the kings that spent most of his time reading letters and left nothing to his secretaries that he couldn't handle, but as a result he was became very reclusive, especially after his third wife Isabel of France died. His favorite children were his daughters by her, Isabel and Catalina whose letters to them still survive. Among Philip's many achievements was the management of his colonies and the improvements to his navy, in spite of the humiliating defeat with the English with the Armada incident, there were other battles where the Spanish under Philip II's able commanders were able to prove themselves. But there was a dark side, as there was a dark side to all these 'successful' monarchs. As what came to the monarchs of this age, Philip was very religious, he loved to boast of his Catholicism but didn't think twice when it came to bully the popes to submit to his own will and contrary to popular belief not all Catholic kingdoms were united, even when he formed a union with other countries such as France to fight England, his attitude made it difficult to work with these countries. The popes during his lifetime never forgot what his father did to Clement and how his soldiers had sacked Rome in 1527 -whether under his orders or not, they were unlikely to forget that incident and because of this, they didn't trust Philip. One of the popes even declared that he felt sorry that he was on Philip's side and that Queen Elizabeth I was not Catholic, or else he would support her instead. As his attitude became more overbearing, it became nearly impossible to keep the papacy on his side, part of the reason the Armada incident ended the way it did was not only due to bad weather but because the papacy two years prior refused to lend Philip any more money.In spite of this and many other things, Philip managed to govern his land well and when he died, he left Spain to his surviving son, Philip III who with James I would later signed an agreement ending the war between both their countries. Everyone in a position of senior management in any organization, public or private, should read this book. Perhaps not as compelling as his more biographical work on Philip or narratives but still a good read. The final chapter of this book cites Don Martin de Padilla, commander of the Armadas that sailed in the war against England in 1596 and 1597, dismally observing that Spanish strategy held "our eyes on the stone that harmed us and not the arm from which it came." The sharpest criticism of Philip II as the head of a global empire, is that he had no long term strategy at all, but only reacted to events in a struggle to hold on to the scattered lands that he had inherited. And, as if that would not have been enough, that in doing so failed to be realistic in matching up ends and means, literally resigning himself to hoping for a miracle when the gap became too large. Parker's account, after an introduction that investigates the administrative means by which the king sought to reign his empire and the challenges of communication and finance that he faced, focuses mostly on the war in the Low Countries and the failed invasion of England in 1588. He provides a great amount of detail on these events, trying to show how information flowed and decisions were reached, and how misinformation, misunderstanding and bad judgment contributed to shaping events. This is a book destined for readers who already have a reasonable amount of background knowledge, for it focuses strongly on the fragile machinery of Spanish decision making, and does not provide much context for it. But Parker's investigation of the extensive archives left behind by the king and his secretaries gives a lot of insight.Parker writes of Philip II with some sympathy but with a caustic condemnation of the king's management style: Secretive and distrustful, hardworking and unwilling to delegate, Philip swayed between entrusting great power to his commanders and viceroys, and trying to micromanage them in an absurd way. At a time when a letter between Brussels and Madrid would usually take more than two weeks to arrive (but was sometimes much faster, and sometimes a lot slower) the king's insistence that his position at the center of the information network gave him the superior knowledge that justified this micromanagement was absurd.For all its remoteness in time and place, this book brings these 16th century decision makers close to us on their human experience. The Duke of Parma grumbling about impossible orders, the king trying to correct spelling and syntax errors in the documents sent to him, his ministers wrangling about who should bring his majesty some particularly bad news: They are all instantly recognizable. Parker has undertaken an enormously in-depth study of the "grand strategy" of Spain's Philip II, ruler of an empire on which the sun never set. Yet despite the heaps of documents he obviously trawled through, this book remains interesting. The author draws apt parallels to other portions of history - Cold War, Vietnam, World War II - and to modern business models, showing that the subject, though seemingly arcane, is actually relevant. He does not spend much time on a broad outline of historical events, but his discussion of details doesn't descend so deep into the minutiae as to lose the reader. Still, it would probably be best to start with a more general history before launching into this examination of Why Philip Failed. It is amazing to actually read of how an absolute monarch governs and makes decisions, and then, in the 16th Century, communicates them. This is an in depth analysis of the decisions in the Netherlands and for the ill-fated invasion of England in 1588. Seemingly obscure, this book is a real eye opener. Its weakness is that it doesn’t really tell what happened in these places, just how the decision was made. Great companion to Garrett Mattingly's The Armada.